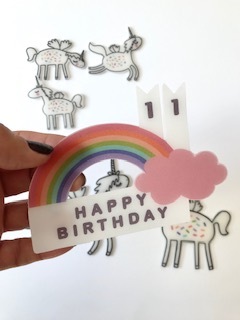 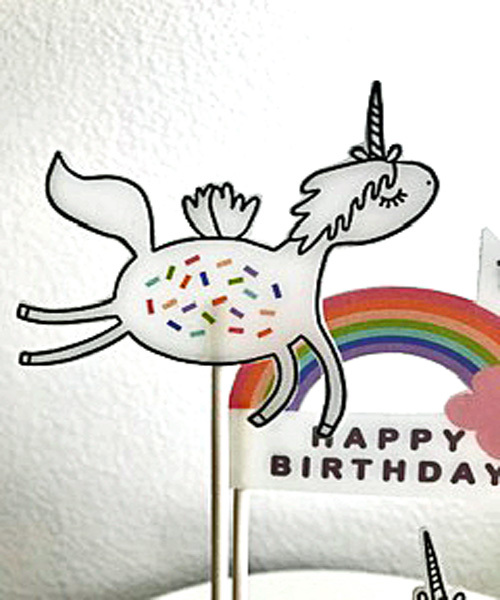 Project Description: Create unique shrinkable cake toppers with Grafix Shrink Film. 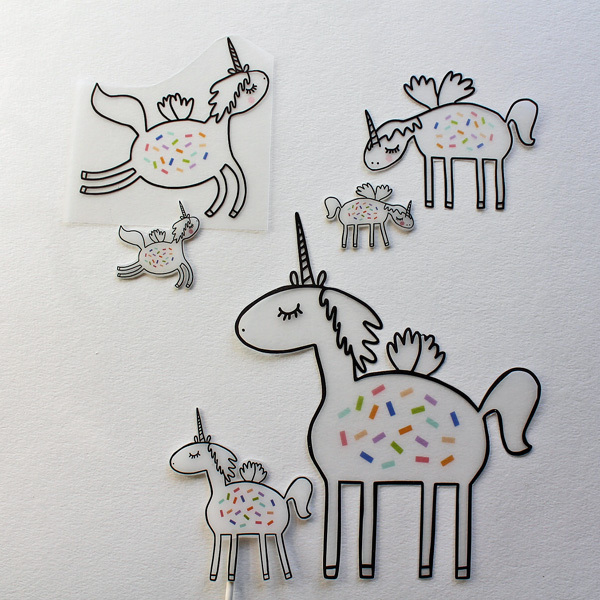 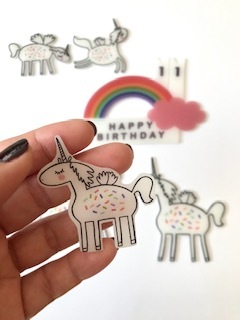 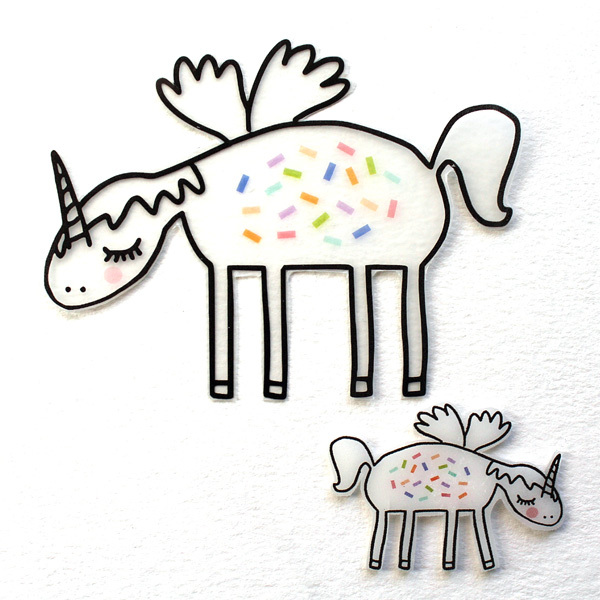 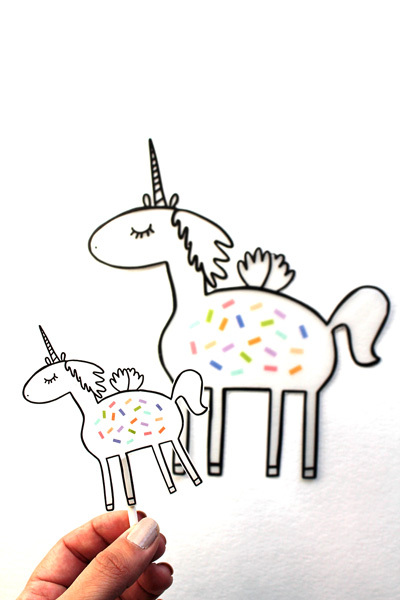 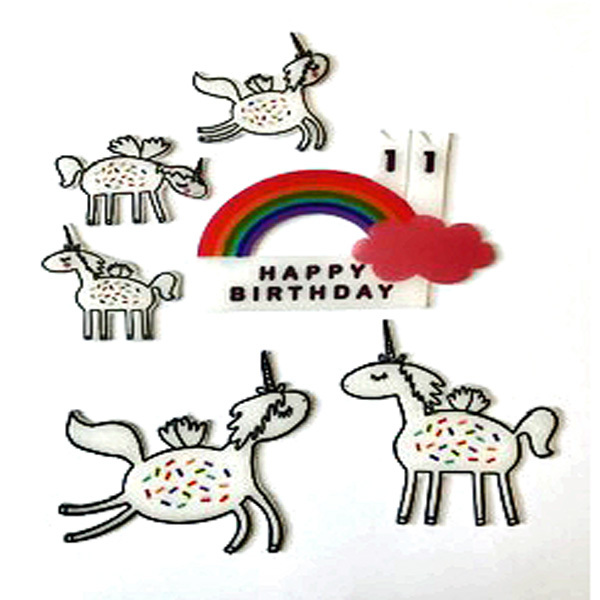 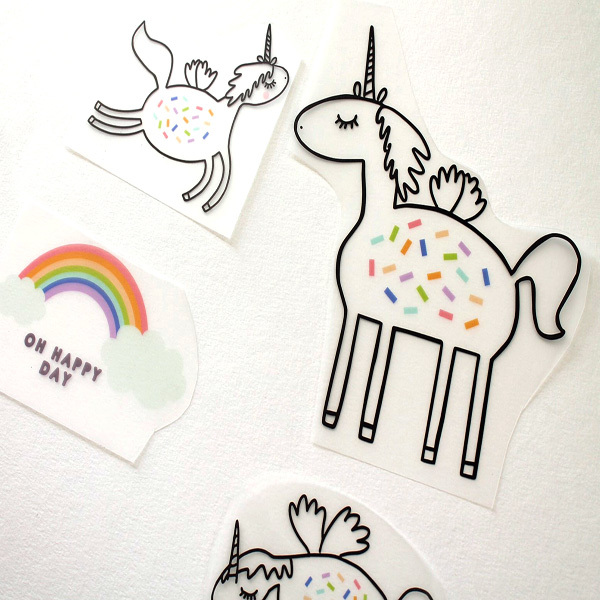 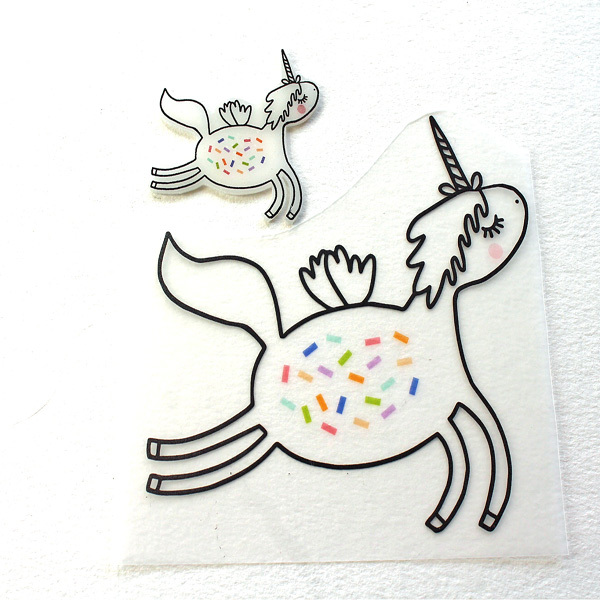 Start by taking an image of your choice to print, you can use a Free Unicorn Printables here, onto a sheet of Grafix Clear Ink Jet Shrink Film. 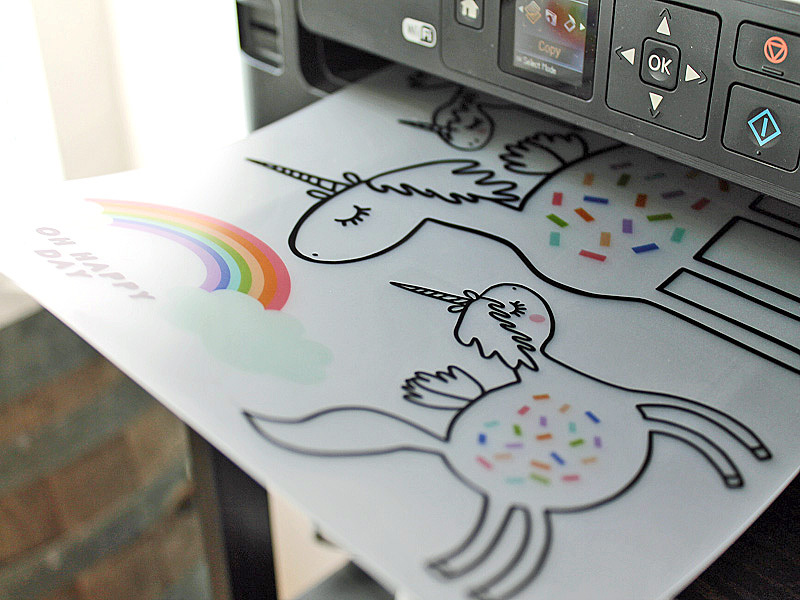 Or creating your own digital design. 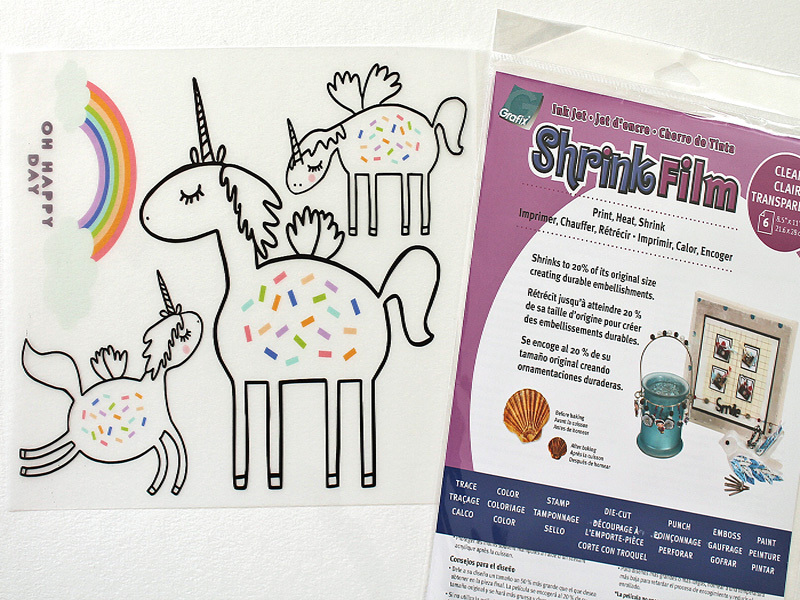 Pre-heat oven and follow Grafix Shrink Film baking instructions for best results. 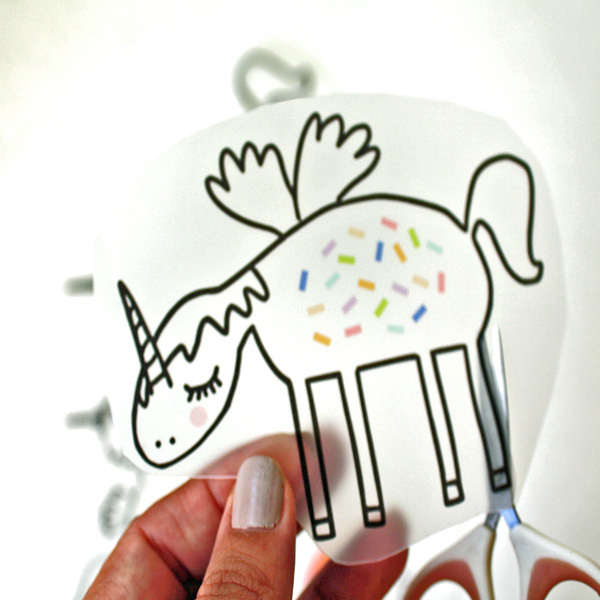 Let cake/cupcake toppers cool while you heat the hot glue gun. 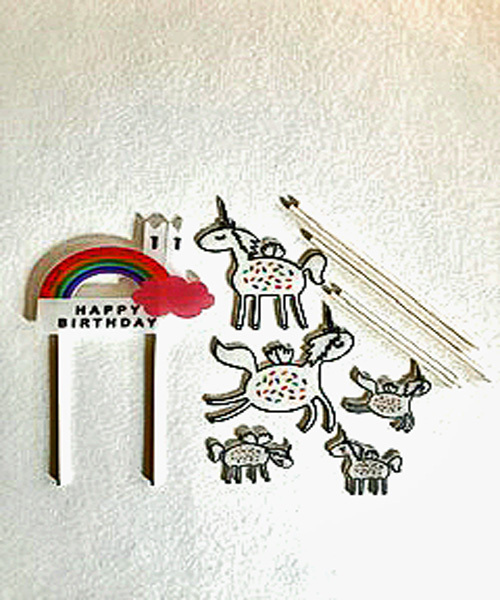 Next, cut lollipop sticks into assorted sizes. 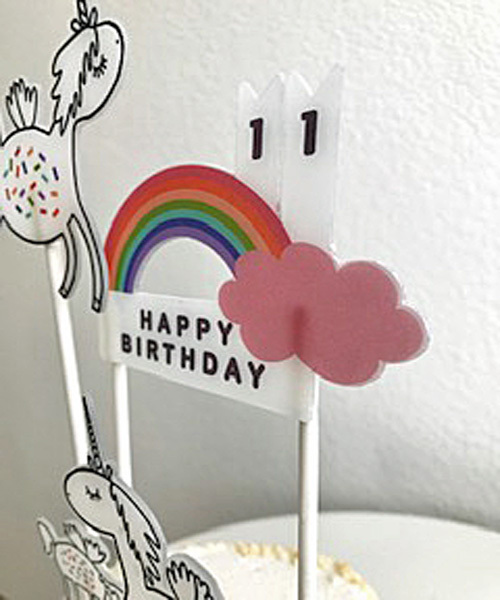 Lastly, add small drops of hot glue to backs of cake/cupcake toppers by gently pressing lollipop sticks to each topper or place a toothpick to the back of each topper securing into place with a piece of washi tape. 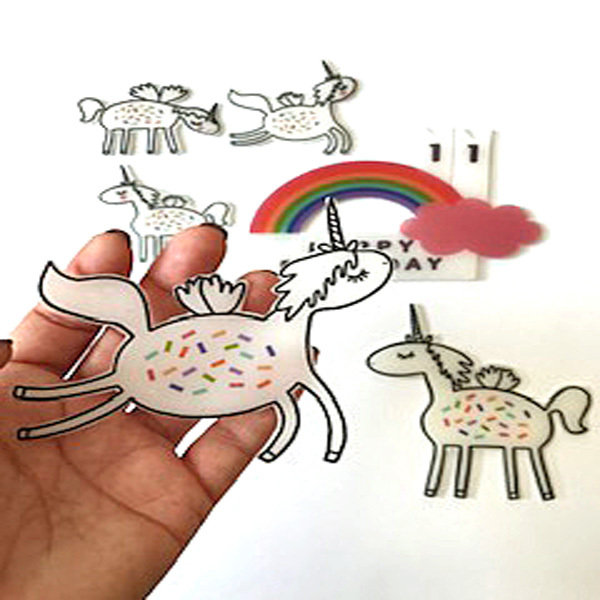 Start by hand drawing or tracing your image, you can use the link above, using non-toxic markers. 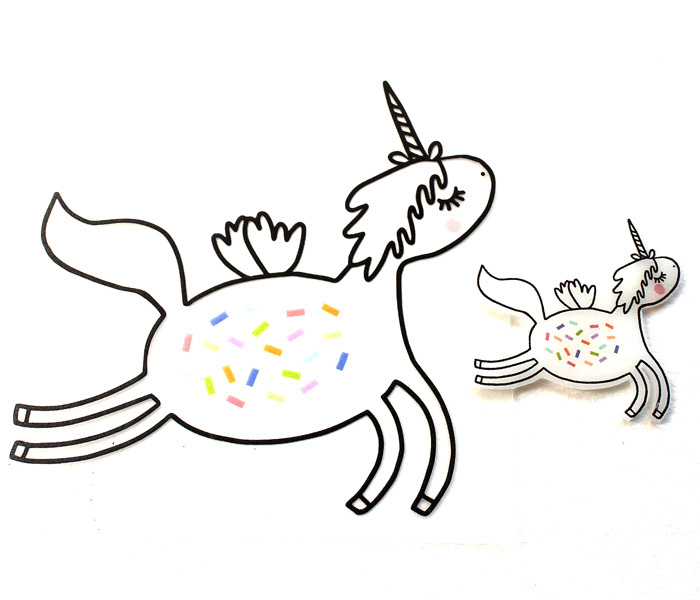 Follow steps 3-7 from above to finish. 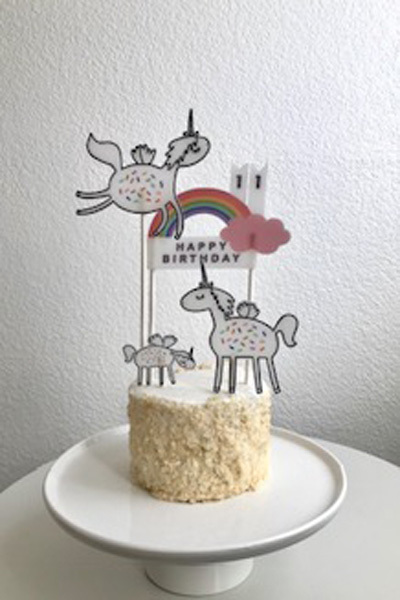 NOTE: Tallest cake topper pre-shrinkage is 8″L x 7″W with a final result size of 3 1/2″L x 3 1/4″W after baking, smaller cake toppers started at 3 1/4″L x 4 1/4″W pre-shrinkage with a final result size of 1 1/2″L x 2″W size after baking.